Since the summer of 2015, Alfie Buoy has cruised away from the traditional white-glove, glitzy flair of the super-yacht industry and towards something truly luxurious: laid-back, quality service, rare experiences, and an abundance of time for guests to relax and explore with those they love the most. Aboard Alfie Buoy, rare moments are magnified. We offer our guests unique access to spectacular locations and memorable, life-affirming experiences. We rouse the senses with wonderful food and wine, we liberate through utmost privacy and freedom. The Alfie Buoy crew deliver an immersive, boutique hospitality that is both attentive and unobtrusive. We understand when to engage with our guests and when to step back, how to create the perfect night in and how to pre-empt a spicy Bloody Mary in the morning. We deliver luxury through intuition and humility. Our itineraries, which are finely tailored to suit each guest, hold onto the joys of spontaneity. They reflect who are guests are, what they wish for, and how those desires might change during their stay. 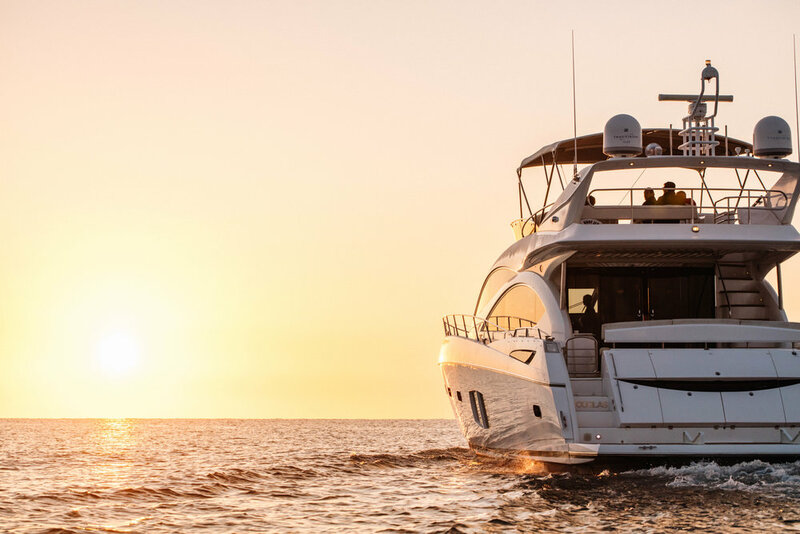 Charters are shaped by the hands of Mother Nature and the crew embrace impromptu decision-making; the ability to rip the itinerary in two and change direction. 4 summers ago, Greg Mansell launched Jersey’s first luxury charter yacht into waters around the Channel Islands. With a 50” Beneteau Swift Trawler, 3 crew and a handful of guests, Alfie Buoy was born! Each year, our vessel, service offering and horizons grow. In 2019, Alfie Buoy will be based in the Western Mediterranean, continuing the adventure in locations such as Ibiza, Mallorca, Corsica, and the Amalfi Coast.